RikArena is a fast growing company. A well established(Since 2009) software development firm. RikArena is managed and organized by ambitious and innovative group to define a place of faith and satisfaction. RikArena Solutions integrate best-of-breed and RAD technologies with latest deployment methodology for maximum performance and scalability. RikArena develops product, customized product, tools and platforms for Decision Support System, e-Business and data management, mining and analysis. RikArena solutions include: E-Business Providing highest scalability and most accurate and sophisticated personalization to B2B and B2C environments through advanced e-Business and e-commerce solutions. Business Intelligence and Decision Support System (DSS) With generous team, RikArena goes beyond the expectation with understanding your process and able to create custom-builds robust, large-scale systems for the sophisticated warehousing, retrieval and analysis of mission-critical data. Also, RikArena serves many MIS reporting to get support in decision making activity. Devanshee has an expertise in Bio-Metric based attendance management system and has been supported by us for technical needs. RIKARENA has been nominated as technical Partner by Devanshee System Pvt. Ltd.
Akshar Data Pro has an expertise in Mobile Monitoring system and has been supported by us for technical needs. RIKARENA has been nominated as technical Partner by Akshar Data Pro. AIREC is a Unit of RIKARENA, however handles its entity with its own guided by RIKARENA. Education related products are one of the key products of RikArena, as it covers all the units of education whether it is Play School, School, University, or any Institution. It covers entire process of any kind of institution. With RikArena’s educational Software user can simplify their Admission process, fee (which includes outstanding fee, paid fee etc. ), for institutes it manages instalments also. Library, transport (with information of route, bus etc. ), even employee detail can also be managed by its HR module. In another word user can have maximum benefits and information in minimum time and can achieve new goals. Increases the productivity and efficiency of the office/ management staff. Decreases paperwork to great extent making the process cost effective. Saves man hours and reduces communication cost. Customize fee option which is school wise, class wise and student wise. Various type of Payment mode which is through DD, Cheque or Cash. Perfectly calculate Dues, Discount and Advance Payments without any mistakes. Add new fee type for class, school and particular student. Manage Fee register for daily/Monthly collection, due and advance payment also. Generate Demand Bill in seconds. Manage Fee status of each class and students. Electronic clearing Service Pay mode Attachment. Fee wise amount increment facility. Balance calculation when cash deposit. For example if a student fee is Rs. 750 and parent given 1000 rupees note. Then our system should calculate return amount Rs. 250. This is only for help to staff who is receiving fee. Manage Student Registration, Admission and entire information about Student. Manage class and their Student performance and Fee information. Generate ID card on your choice. Means you can design your own ID card. Generate Certificate which is SLC and TC. Make Manual and Biometric attendance of students and employees. It also contain attendance viewer. Enter Stock with Quantity and Amount, also can view stock status. Distribute Stock in student very easily. Re Distribute Hold Stock items. Stationary can be sold by different name. It would not be sold with the name of school. Due should be in excel like format with the name of student and their phone number and due amount. Ordered by class and section. This time it shows in multiple pages. Region behind it to save stationary when printing due for calling purpose. Perfectly done accounting of school management. It manages whole accounts. It also manages Ledger Transaction. For example its manage Assets, Liabilities, Income and Expanse. Perfectly manage Ledger Balance, Trial Balance, P/L Account and Balance Sheet. Accountant name or login name print on the receipt of the fee. If possible add the facility of signature. It manages Day Book of School. It maintains school financial status also. Complete Profile of Employee has been managed by Educator. Along with their designation and department it manages the salary structure, also. HR module simplifies the attendance process with the help of Bio-metric devices. HR module provides the manual attendance and absent facility as well. HR module also takes care of weekly holiday and designated organization holiday. Any leave of employee is also taking care while generating no. of pay days report. HR module manages the shift of any employee and helps the management by generating shift roaster. HR module integrates with Attendance module and able to generate the salary slip. Its provide HR Dashboard for view monthly performance of each employee also their attendance status. It Provides Processed Salary Details also. Its provide Colour Legends in Salary process menu for make differences between process, un-process and delete salary. Manages class Routine and Teachers Routine. Perfectly Handle Transport Management of School. Also Release Daily Transport Roaster. Generate Report of Bus wise student Roaster & Route Stoppage. Tabular Register Marks Entry option. Organize Exam perfectly based on CCE module. Manage Library Management of school. Also Arrange books in library form. Keep detail of Issue and Return Books. Maintain detail of library members. Maintain Health Detail of students. Manage All Information of each student like fee, subject, library, attendance etc. Maintain relatives and guardian information. G_Search option for search student like Google search. Also manage vaccination, immunization etc which is related to student health. All Reports, Results, ID cards, Admit cards etc are printable. Also provide direction for use software easily. Also manage Promotion and Demotion of student. Its Provide two type of software version which is Professional and another one is Enterprises. Sibling payment facility. Means if a parent has two children in school they can pay their fee together. Mail Facility for Demand Bill. SMS facility for transport/reporting etc. Message configuration facility on billing and attendance. SMS throw Facility without internet through MODEM. Lower dependency and increased productivity. Correct information can be gathered anytime without juggling with number of records. Proper management of every batch and their students. No worry about fees, it manages every students fees status, whether they paid or not and also about the due amount. Provides a channel to communicate Parents/Guardian and removes the information gap through instant SMS Service. Facilitates user to manage several courses and batches simultaneously. Faculty can be associated with batches/courses. Manages several payment mode as well as fee structures. Tracks student’s information from enquiry to certification. There is no lengthy process of generating demand bill and processing payment, it is a task for two minutes even less than this with this application. Indicator which shows if there is any installment in nearby date. Various kinds of reports which avails all necessary information to manage your business properly and take correct decision at correct time. In a single view it gives an idea about the enquiry and also about the confirmation of students in batch/course. Faculty detail can also be managed. RikArena provides comprehensive campus management system for colleges and universities. it provides campus wide integrated system that automates and integrates institutions diverse resources, operations and management. its highly cohesive and collaborative platform helps creating an institution unconstrained by time and place with increased interactivity, mobility, convertibility, connectivity, ubiquity, and globalization. The system allows all users to securely access what they need, when they need and provide easy access to the information. its integrated structure, modules and core database engine helps avoid redundancy of data and duplication of works, thus resulting in efficient use of time, resources and cost. Maintain fees details based on course, terms etc. Facility to generate any type of report. This application is completely concern about the movements of trains over the station and information display on different kind of boards. This application is able to display in different languages.Assist to display various required details of trains on different kind of LEDs on multiple platforms, overbridge etc. Hotlier is continuously growing product which has set a benchmark in Hotel and Restaurant Industries. It streamlines the entire business process and avails all the require information any time with being confused over bulk of records. For Restaurants: It is quite easy to place orders Table number wise and process bill. Stock can also be managed. Some other feature allows user to estimate total consumption of each item by product for correct estimation of quantity as well as investment. For Hotels: By the Software for hotels by RikArena user can easily book rooms for the guest and just by having a glimpse user can have idea about the vacant rooms, rooms under maintenance etc. Also the processing of bills and maintaining amenity availed by the guest is quite easy with this software. Some more features are also there which helps to build a strong relationship with guests and makes the hotel most reliable, and truthful. HMS This maintains information of guest and all booking/reservation related activities. Guest To view guest list and create new guest you can use this form. Here you can maintain all necessary information of any guest. Folio It maintains billing related information of every guest. Here it holds information of their booking date, total bill, and collection from them and outstanding amount also. Reservation If anyone wants to reserve room for any expected booking/check-in date, you can process this by using this form. If the client has visited there before you can do it more quickly because of the regular guest list provided by the Hotlier. Booking This helps you to do booking for guests who have reserved room for that date. You do not need to fill their detail again. Booking Viewer Booking and billing detail of every guest is available here. You can view their bill and can also proceed their payment from here also. Amenity User can add amenity to the guest who purchased that and assign charges for that also. Operation This can be said a tool to do all operations related to booking and billing. It is divided into few more options to be more convenient and easy to use. Check-In Here you can do quick check-in for your guest. Check-Out Again you can do quick check-out for selected guest. Invoice You can check invoice and print that also. Booking Billing You can select desired guest and process their payment by having complete information of charges assigned against the services availed by the guest. Update Booking Dates In case if any guest wants to change his/her booking date which is entered at reservation time, user can change that from here. It shows list of guest who did reservation with their previous booking date. To manage attendance of each employee or students etc. turns very complicated if it is manual. So to simplify this process RikArena has launched Attendance Management System which manages attendance and compatible with any process of organisation whether it is manual, biometric, OMR or any other process. It shows total presence and absence and all other details with zero error. Employee Attendance is used in conjunction with the payroll module to automatically implement the leave policies. Various types of leaves are available that may be marked for employees. A detail of availed leaves is also available for each employee. The system also assists the user and restricted the uses from assigning more than the prescribed no. of leaves. Registration Every Patient must have Registration with Hospital to start the Services. OPD	Patient will collect the prescription and will advise accordingly. IPD Space for stay within the hospital Premises in the form of Bed , Room , Ward etc. Special stay and care	ICU(Intensive Care Unit ), OT (Operation Theatre) etc. Has worked directly with US Clients and helped in getting repeat orders by doing commendable work and holding valid B1 Visa. Two times onsite travel for business gathering as well as Project initiation process. Appraised by “Digital Anticipeo” for tremendous effort to establish the bio-metric system based Attendance Management system. Appraised by “Certification of Appreciation” for 2007 from EDS. I have good process knowledge. Very confident in ERP domain and well conversant in defining a new business logic for client. Inventory Management System is a tool by RikArena Consultancy Pvt. Ltd. to manage inventory and distribution to make a proper control on stock with reduced dependency and higher accuracy which easily manages records related to purchase, sale, and stock return with so much of fascinating features. The main objective of this tool is to automate the existing manually maintained system. Vendor: This window allows you to define vendor type and associated vendors. Pricing: Here to define price component and price pattern so that you user can access different price patterns. Product: In this window user can create number of product group and according to the groups can create different products in relevant Product group. Even user can also create attributes for the product and then associate them with products accordingly. Purchase Order: User can generate Purchase Order from here which makes the system easy and quick. Stock Entry: It maintains the stock with transaction date, supplier detail, invoice detail, product quantity, free quantity and price detail like discount, taxes etc. Stock Viewer: With almost zero dependency user can check all the entries in stock invoice number wise. Sale Counter: This controls and manages the entire sale from this single screen. It keeps record of product distributed and quantity, to whom it is given, price and expiry date also. One of the best features of this application is that it never let the user to sale product which has already crossed the expiry date and user can also not sale product having quantity more than the available quantity in stock. Sale Viewer: The entire detail related to sale, user can find here for selected span. Surplus: It also enables the user to manage surplus stock. Damage: Here user is allowed to maintain and take a view on damaged product so that they can have the exact scenario of their stock. Modify Sale Price: In case of wrong entry or any price fluctuation user can take benefit of this screen to update price. Product Quick Manage: To change group or type of any product, this window is help to do all such kind of modifications quickly. Reports: User can generate various types of reports in this application for ex. Cash Register, Sale Viewer, Stock Status, Products List. The integrated accounting package allows comprehensive management of accounts without the need of cumbersome posting of vouchers. Integrated with fee module, the accounts module automatically manages posting of fees into appropriate accounts heads. Apart from this, the user is not restricted with only automatically posting but the generic accounting processes are also available as in the most popular accounting packages. The accounts modules enable effective management of complete accounts of any Organization. All type of vouchers can be entered from single vouchers entry screen. Bird view features makes it more user friendly. All reports like ledger, bank/cash book, journal, trial balance, income, expenditure account and balance sheet are available with single click. Perfectly done accounting of any organization. It manages whole accounts. It manages Day Book of organization. It maintains organization financial status also. Pharma Management System is a tool by RikArena Consultancy Pvt. Ltd. to manage inventory and distribution to make a proper control on stock with reduced dependency and higher accuracy which easily manages records related to purchase, sale, and stock return with so much of fascinating features. The main objective of this tool is to automate the existing manually maintained system. Booking of seats, billing, and managing information in bulk is an easy process with RikArena’s Ticket Management System. Customized and Interactive On Screen Seating Maps. Customized Ticket Printing System (Based on client needs. Client Defined Tax and Surcharge Templates. Complete View of No of seat booked at a given time frame. SMS and Email Integration, facilitate the sms and email to corresponding customer. Managing multiple screens with one view. Managing multiple counter, and re-print of existing with single click. Allocated Movie synchronization tool, this tool manage the Allocated movie from the server, however Customer can create their own movie. Booked Ticket synchronization tool, this tool will manage the booked ticket from ticket counter. RIKARENA_TMS is build on a concept of Offline and On-Line. This replicates the meaning, if Internet is available at the concern facility, then the entire data will be uploaded to web server otherwise facility will continue booking of ticket with their own database connection. Accounting package for journal, contra, income and any expense entry. Managing Ledger Balance, Trail Balance, P & L Account and Balance Sheet. Excel Export facility for any report. Prime/registered Booker Management. Booker can create a their profile with just booking any ticket. Multi Node booking without any new cost. Reprinting of Tickets can be performed by registered Ticket Booker from any location through UFO Digital Cinema integrated website. Ticket Booker history maintenance, so any hierarchy of management can announce promotional schemes to boost the sale. CRM is what which helps to manage and establish better relationship with your client. 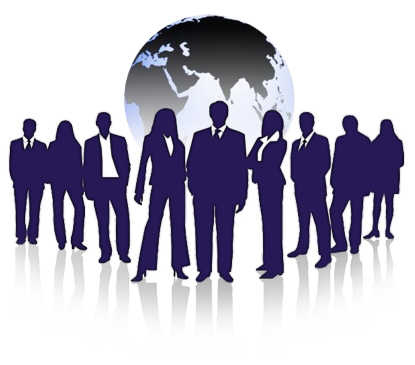 Status of every lead/client is managed and provided by this software which make it is easy and comfortable to run a business successfully. This is the module of RikArena's CRM which helps to manage their clients with entire necessary details like address, contact number even project they are looking for can also be managed. It is quite easy to use and manage with such a user friendly application. Activity Manager is nothing but a module which simply manages each activity taken against particular client. Along with activity it manages Project lead, activity done by the employee, start date, end date etc. Here user is allowed to manage their documents including purpose of that document. User can also have preview of that documents too. It is a kind of locker where you can safely store all kind of documents at one place by associating it with client so you can find their documents easily. By this module user is allowed to manage and view payment status by their clients. Because of clear view of payment user can easily estimate about the financial status of their business and calculate pending amount from clients. 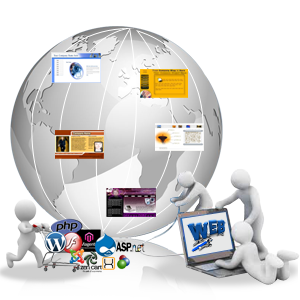 Here user can generate quotations for their client by selecting desired format. After approving a quotation user can process it and perform activities to the corresponding client. This is something like Quotation Manager, but it helps to generate invoice for the client. It also contains multiple format user can select their desired format of Invoice to process. The library module enables effective management of school library. With a simple click books can be allotted and you can keep check on limits no. of books to be issued. Number of book that can be issued to student/staff. It allows various features, like create library member, Library member report, daily issue/return register etc. Provides facility to create infrastructure of library in application. Provides facility to create books. Project Tracking System is the application which gives user a clear view of each stage of Project, client, payment, and all activities done by the employee for the client and the corresponding project. This is the module of RikArena's PTS which helps to manage their clients with entire necessary details like address, contact number even project they are looking for can also be managed. It is quite easy to use and manage with such a user friendly application. Email marketing is a way to reach consumers directly via electronic mail. Unlike spam, direct email marketing reaches those interested in your business’ area of expertise. It brings your business’ message through an attractive mix of graphics, text and links directly to people who may have never heard of your business or considered your products, but are knowledgeable and interested in your business’. A bootstrap is the process of starting up a computer. It also refers to the program that initializes the operating system (OS) during start-up. Techopedia explains Bootstrap Bootstrap is the process of loading a set of instructions when a computer is first turned on or booted..
PATNA OFFICE: Back of Officer's Flat, Bailey Road, Patna-800001, Bihar, India.